The manufacturing of complex workpieces, such as gears on five-axis milling machines, has increasingly established itself as an alternative production process. Precise 3D data is a requirement for this type of production. KISSsoft can output exact 3D models, which can then undergo further processing with CAD and/or CAM software. Measurement grid reports have been provided to help you measure the topology of the flank and root areas of the toothing. These grids are output directly in the correct format for Klingelnberg or Gleason measuring machines. The measurement grid calculation can be called up for cylindrical gears, helical gears, face gears, worm wheels, and involute splines (module ZZ5). The 3D models in KISSsoft are available in both STEP and Parasolid formats. The models can also be exported as individual tooth forms for CAM generation (module CB1). 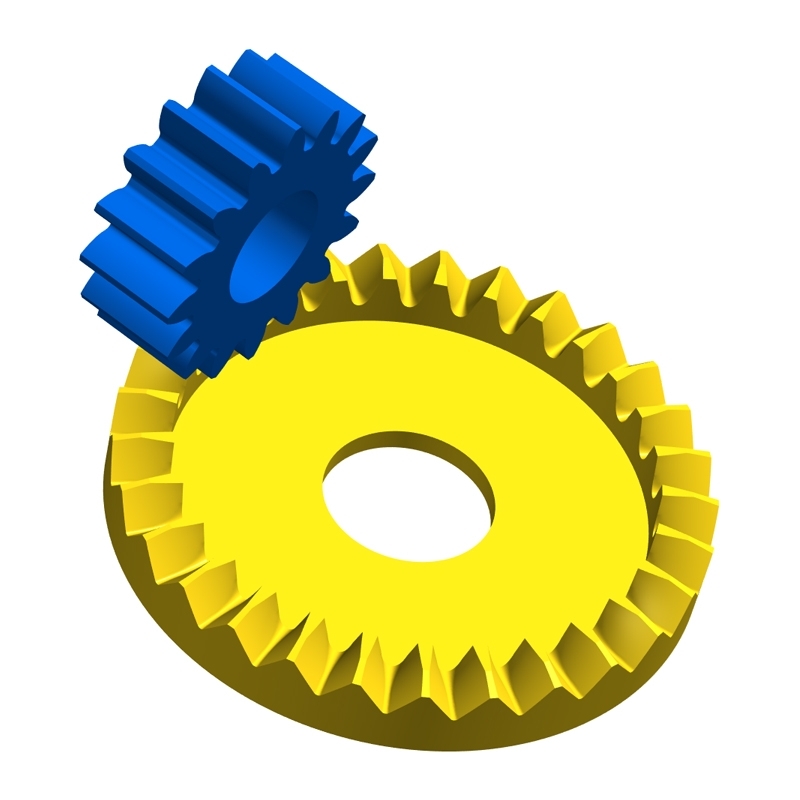 You can find more detailed information on this topic in the "Gear Models in 3D" flyer, or participate in our Calculation of gears, shaft bearings, drives with GPK introductory training course from November 6 to 8, 2018 in Bubikon, Switzerland.